Beverly Jovais has been a top trainer for over 30 years. Beverly enjoys an outstanding reputation for integrity, honesty and the highest quality of care. Her riders are consistently in the top ribbons, and are frequent winners of year end awards. 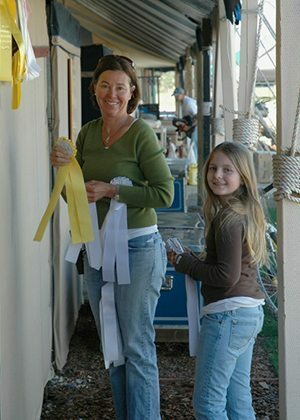 Beverly excels at helping riders attain their goals and have fun in the process. Beverly enjoys teaching everyone from beginners to advanced riders. Beverly’s proven approach stresses excellence built on classic basics, safety and fun. 2017 was a terrific year with Chestnut Hill riders bringing home championships in the hunters, equitation and jumpers in USEF, PCHA and NorCal year-end divisions.